Just two years ago, New York University’s Stern School of Business crashed through the $200,000 barrier for the total cost of its full-time MBA program. It was the first time any business school advised incoming students to budget more than $200K for MBA tuition, fees, room and board, and other expenses. Now, there are four business schools that meet or exceed the $200,000 threshold: Besides NYU, there’s Stanford University’s Graduate School of Business, the University of Pennsylvania’s Wharton School, and Columbia Business School. Expect more schools to move into this territory. Harvard Business School, for example, has already told admitted applicants that the cost of a year at HBS for the Class of 2018 will be $102,320, up from $98,400, an increase that will bring its total two-year cost to $204,640. And the school with the most expensive MBA program in the world? Stanford edged out NYU Stern, where the total expense is now $206,474, for that dubious distinction. The cost of a Stanford MBA is now a breathtaking $210,838 including the $4,000 school estimate for a study trip. Just two years ago, that Stanford degree would have cost $202,870. The Stanford price tag includes $64,050 in annual tuition, $29,202 a year in living allowances (the highest estimate among the top 25 U.S. schools), $1,437 a year for books and supplies, another $1,350 for what the school calls “instructional materials,” annual required medical insurance of $4,680, and $1,062 for Week Zero, when faculty pilot week-long classes based on their research. As high as the $210,838 is, it’s also for a single MBA student living on campus with “a moderate lifestyle.” Live off campus and the recommended budget by the school quickly rises to $220,966. Come to Stanford’s MBA program as a married student who wants to live off campus and the cost of the degree jumps to $254,830. But at least at Stanford, incoming students are guaranteed that their tuition won’t go up in their second year in the MBA program. Many schools pass on a 3% to 5% tuition increase to students in their last year. As shockingly high as that sum appears, it can be a conservative number. At most schools, estimated living costs by a school often are between 10% and 20% lower than what many MBAs actually end up spending. Add in the opportunity cost of quitting a job for two years, and the total cost at Stanford and several other top schools can exceed $400,000, even after deducting the earnings from a summer internship. That’s because Stanford and Harvard MBA students leave jobs already paying more than $85,000 a year. And none of this counts the fairly hefty interest charges you’ll pay on a student loan. Of course, these are sticker prices and do not include discounts in the form of scholarship aid. Most business schools are aggressively increasing their scholarship support of students to help defray the escalating costs of tuition and fees. Stanford, for example, says its average yearly scholarship grant to MBA students is $35,343, with 52% of all students receiving grants. At Harvard, the average fellowship grant last year was $32,919, with 56% of the students receiving scholarships. HBS doled out $33 million in MBA discounts last year and expects to increase its overall scholarship funds by 9% this year. UC-Berkeley, which only enrolls a small incoming class of under 250 students, spread $5.8 million in scholarship money to its MBAs this past year. That said, the median cost of a Top 25 degree is roughly $171,000, up from $168,000 last year. After Stanford and NYU Stern, the most expensive programs are Wharton ($200,908), Columbia Business School ($199,648, not including an optional study tour which would push it well over $200K), Harvard Business School ($196,800), and MIT Sloan ($196,028). Even public universities with highly ranked MBA programs are no longer cheap. The most expensive public university business school MBA is the University of Virginia’s Darden School of Business. The total cost of a Darden degree for out-of-state students? $174,814, with an annual tuition of $61,650. That’s just $75 less than Harvard Business School’s tuition. Even residents of Virginia don’t get much of a deal. The in-state cost of the MBA at Darden is $169,982, a discount of less than $5,000. @poetsandquants-c81e728d9d4c2f636f067f89cc14862c:disqus — any update on this? If hypothetically you had to place Rotman in the US B-School rankings, where would it roughly lie (considering jobs, immigration, pay)? We’re currently updating this story with the latest numbers and have already found that nine schools are now over $200K. That new story will be published early next week. But I just wanted to also add that substantial scholarship aid is available at most of the schools, especially the schools that fall just outside the high range on the table. You have to remember that a high percentage of students incur no debt at all and it’s not always because they have the cash to fund a full MBA. Many of them are either fully funded or largely funded by the schools. And when you look at prestige schools and find them in the middle of the pack, that is a sure sign of generous scholarship support. There are several schools now that essentially fully fund all their MBAs: ASU’s Carey School, UMass’ Isenberg School, and the Asia School of Business in Malaysia where students are largely taught by MIT Sloan professors. I used to want to apply to top programs with the end goal of doing strategy at an MBB. With prices so high, while i think i could get into a top 10, the cost just doesn’t seem to be worth it when I could still reach my goal in the top 11-20 range with possible scholarship. My only worry is does the MBA brand mean anything 5+ years out? Thanks for adding this perspective. I think our readers will find it very helpful! Things to keep in mind about Canada. Think of Canada as comparable to a single US state. 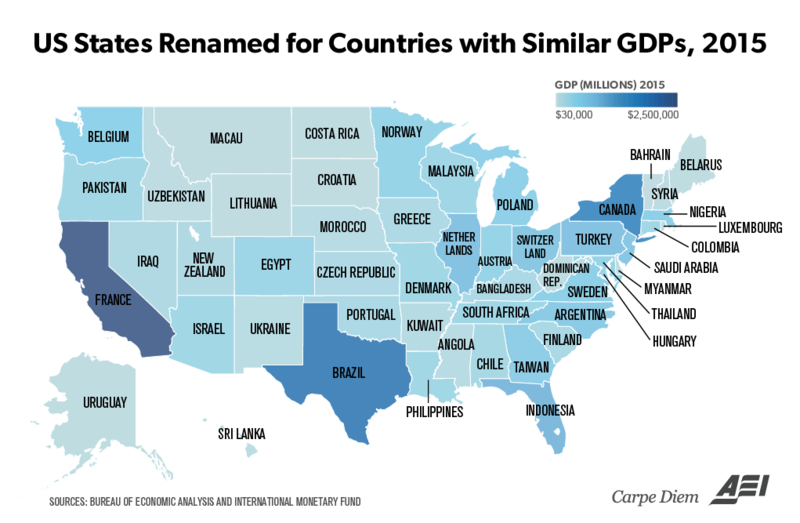 Canada’s population is between that of Texas and California, and its GDP is similar to that of NY. Its culture is similar to that of states in the Midwest US. French is very useful in Montreal, but is not a must for MBAs. In terms of MBA jobs, there are obviously fewer to go around (state-sized economy as opposed to US-sized). I would suggest looking at one of four programs: McGill (Desautels), Ivey, Queens, and Toronto (Rotman). Schulich and Sauder mainly send people back abroad. Rotman does as well but to a lesser extent. There are other programs which probably place well in specific cities. In terms of career outcomes at those four programs, think of Midwestern US stalwarts such as Washington (Olin), Indiana (Kelley), Minnesota (Carlson), or Notre Dame (Mendoza). Great idea, especially now. We’ll try to sort that out. I would be interested in a comparison against MBA programs stateside as opposed to perhaps going to Canada and seeing what weight that same MBA would hold. You would be better off buying a business for 200k or even several at that price point. Why should education in America be run as a business when their counterparts in Europe are able to operate at 1/4th the cost? business schools are just positioning themselves to be disrupted…fat, bureaucratic machines with no incentive to cut costs…people will soon conclude that it is not worth it and will find other alternatives–we have already seen that finance jobs are not paying decent bonuses…..right now you have so many free MOOC courses that are probably decimating many of the 2000 dollar a day executive programs that are ridiculously priced…they are pricing themselves to extinction and it will be a hard fall…I know there is no correlation now to price and demand but just as Britannica encyclopedia was sitting pretty in the early nineties, bschools will fall hard…. This is a very informative, well-written article. Thanks! Very true and it must be said that there is no shortage of super smart people applying to these very expensive schools. John, schools estimate the cost of living budget over a 9 month period. They don’t take into account, however, that you must sublet your apartment if you are on a one year lease. The budget is required for financial aid estimations and those are federal government guidelines. Having said that, the COL for students have gone up significantly over 30 years, but so have faculty salaries, program add-ons, and technology. Really good question. Thanks much for it. As you know, INSEAD’s 10-month MBA program significantly reduces the cost of the degree. If you are single and taking your MBA solely in France (without switching campuses to do a sting in Singapore or elsewhere), the total cost of the experience would be $106,642, including $2,052 for an optional business foundations program. The actual cost of living estimate is $26,264. I’ve updated the story to include these numbers thanks to your suggestion. I completely agree. But as you can see from the table and from our story, these estimates by schools are all over the map. If anything, the more important takeaway is that they are very conservative estimates of your cost of living. On the other hand, the other way to look at this is that you would have to incur room and board costs even if you didn’t go to B-school. So perhaps these are not not real or additional costs at all, unless you still leave in your parents’ basement. INSEAD is known as the “cheapest” top program, but the riskier too..It pumps 1000 a year to the market, forget about prestige or elitism, you have to compete largely based on your previous experience or networks.